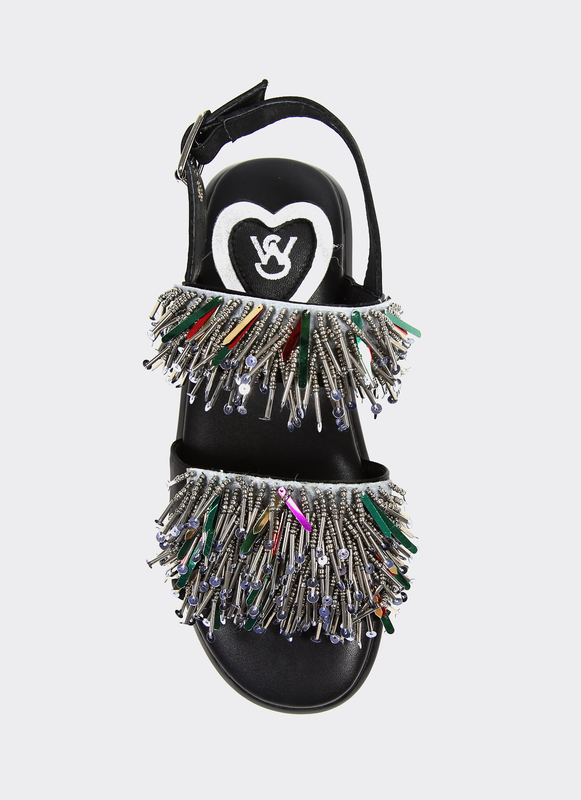 Add a feminine touch to your casual look with this pair of sandals from Winston Smith! Crafted with high grade synthetic leather with a slight metallic sheen, this Valerie Sandals are the perfect go-to slip ons for the seasons to come. 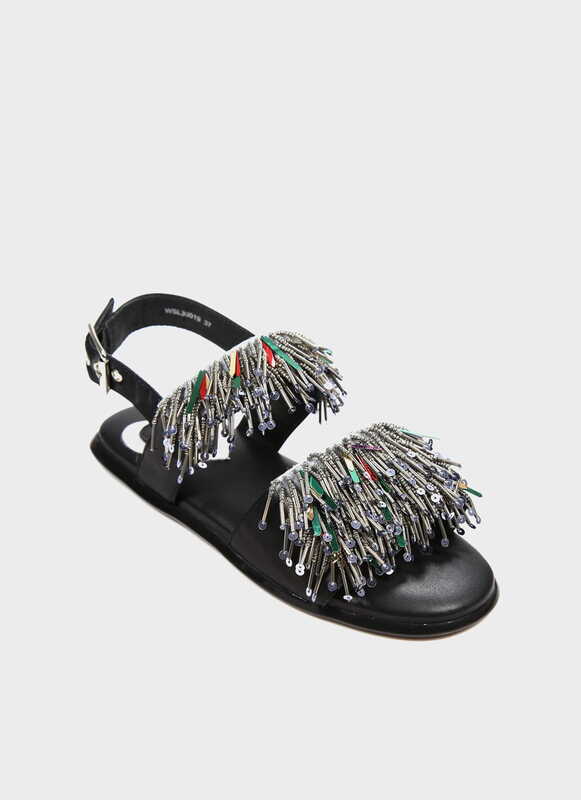 With the tassle details, this versatile sandals goes well with almost anything you wear. Remove the dirt or stains with a soft brush. Do not place the shoes in direct sunlight or blow dry with hairdyer. Both can cause cracking and discoloration to the leather. Treat leather with leather moisturizer cream if leather starts to crack from dryness.